I guessed the twist (mostly) and wanted to be wrong. I don't remember the exact moment that it hit me, but it was like, "Is Dara dead? She's dead. I don't want her to be dead. If she's dead, I am NOT going be able to give this book a high rating. There were certain tells, of course. Why did the mother not seem to have any dealings with Dara? When the police officer arrived with Nicole's hoodie to bust her for the party the night before, why did the mother not investigate whether Dara might have been the one? I didn't guess the psychotic break--Nick assuming Dara's identity. So I didn't quite know what to do with the Dara-narrated chapters. I feel bad for having a negative response. 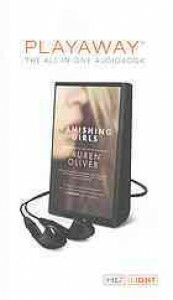 I normally enjoy the heck out of Lauren Oliver's books, and it feels as though it just wasn't the right moment for me to read this book. 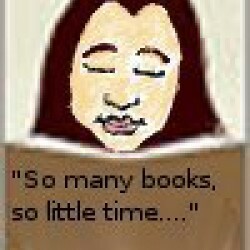 Like other books prepared me to make the guess and spoil the story for myself. The writing is otherwise lovely, and there were character interactions that I found compelling. But the twist that I predicted and didn't want soured me on this one. I don't want to give it a low rating OR a high one, so I am skipping the star ratings altogether.